The beginning is the end, and the end is the beginning. English poet William Blake asked this question in 1794 and today we ask it still. 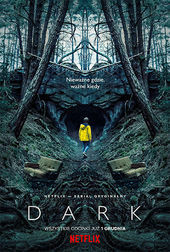 In Dark, Netflix’s first original German-language series, co-creators Baran bo Odar and Jantje Friese present an intricate mystery filled with curious characters, fractured memories, horrifying legacies, and more than a dash of the supernatural. The thriller aptly opens with a stunning sequence that takes our world and dismembers it, assembling the pieces into something eerie but beautiful. There’s a discomfort in the imagery, an awkward folding of bodies and forms. Doorways bend into themselves. Eyes blink impossibly inwards. With design by Lutz Lemke and music from Apparat featuring Soap & Skin, the title sequence is a disquieting scrapbook of moments and deeds. The work of title designer Danny Yount immediately comes to mind, particularly the opening to 2001’s Six Feet Under, as well as Yount’s symmetrical titles for Semi-Permanent Portland 2013. In the forests of the night, in a small German town, the fearful symmetry of history keeps coming. 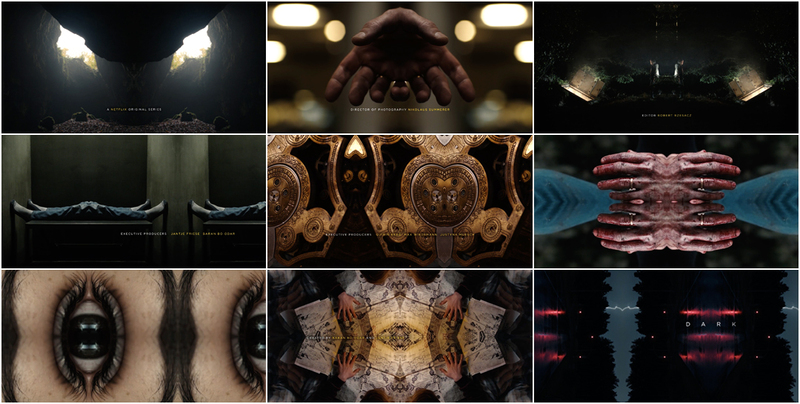 It’s all there, in the title sequence – a fascinating kaleidoscope of life and intimacy and death and time.